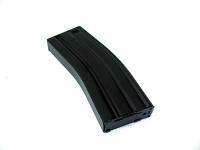 ICS M16/M4 Series 450rd High-Cap Magazine. Fully compatible with all ICS, king Arms, Marui,Ares, Star, Classic Army & G&P versions of the M16 and M4 series. May also fit other chinese clone M4 / M16s.